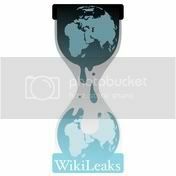 Wikileaks and Assange have been sources for tons of headlines in the past weeks, be it the actual publishing of the papers, Anonymous DDOS'ing sites like Mastercard and Paypal, the US government acting like a 12 year old who's friend just told the class he likes that girl he has been staring at for the past week and the people with opinions on the matter none really wants to hear but still get air time. In this forth edition of TF2 modifications I will talk about a very useful tool for anyone playing competitive TF2, it doesn't matter if it is 6v6, Highlander or whatever, this tool is able to do allot of the enforced measures (take status screenshots, record a demo, screenshot the results) in leagues and on top of that it can mark exceptional moments in your play. Pov-Record is a plugin made for easy demo recording in Team Fortress 2. It automatically records the matches you play. All the options that start with PREC are for the configuration of PREC. Btw for the people who still play it, this also works for CS:S.
I have no idea what I will talk about in the next modification post but when I come across something useful I shall be sharing it. Home is where the war is! During the SpikeTV Video Game Awards many game publishers announced there games for 2011, here are a couple of trailers. Bioware has released the Mass Effect 3 trailer announcing the game release for the Holiday season of 2011. Bethesda announces The Elder Scrolls V: Skyrim for 11-11-11. Mortal Kombat 9, showing Kratos from God of War as a character. In this third update I will talk about one of the more advanced game modifications I use, for the people who don't want to mess with the files themselfes I will list a couple of variations of the modification which can be downloaded and I will be linking to a very useful thread for people who want to try there own settings. The idea behind the mod is simple, you remove unusual hat effects or even complete hats that you do not like or get a better performance in the game. The idea originates from the people who started to dislike the hats because they simply do not fit in with the game's original game style. Why Valve went against there own guidelines still puzzles me and with the Policount update they went completely overboard, this triggered more and more people looking into ways to get the original look back and resulted in a thread on the SPUF with the answer until Valve gives people the option in the game. That should be easy enough, but if you want to create your own files you can, I could write a big guide on how to do it but I believe posting the original source is much more useful for everyone as people are updating the thread on a daily basis with new information, this is why I will link you to the original instead. In the next modification report I will talk about PREC, an addon which does allot for you when you play competitive games (Highlander, 6v6, etc. ).